That's a bit of a conundrum seren - have you worked your way around such before? Sounds like you are a candidate for staying in PM the night before in that case? Mr K did that on the last down run - here is his story! Its always outside PM town hall of that you can be certain I would say, tradition dictates it will be so! Its only t'finish they play about with (usually)! I don't know if it helps Seren, but the buses travel in the dark, and also mostly on the motorway, so it's not as bad as it might be. And they go at 20mph or less all the way and 90% of the time on board is spent travelling the last 5 feet in Pietermaritzburg until you bottle out and beg to be let out so you can run to the start. Seren, you seem pretty relaxed about that? Do you have your own different plan? Or should I be worried about what you say and try and solve your conundrum? All these general sites I assume are given quotas to sell. Maybe if you went direct to the hotel sites that booking.com say are full you will find availability? If I look on another general site right now, hotels.com I can see a couple of hotels about 2ks out with availability. Are you going to jump in and book, or are you going to get t'bus? SS meets SN - love the picture! Ooo its Comrades! Thames Meander sounds like it might be a good one for me as well. I -am- planning some marathons towards the end of November, so I'm sure I'll qualify then, but as the plan is to do 10-in-10 (http://www.saxon-shore.com/10x10/) I doubt I'll go under 4 hours (to get my D-pen seeding) for any of them - much better to get that out the way earlier! It's one of Seren's better ones!!! Did you enjoy the rest of your holiday Seren. Good luck RR. I'm sure it will be fine - this time last year we ran 100k. 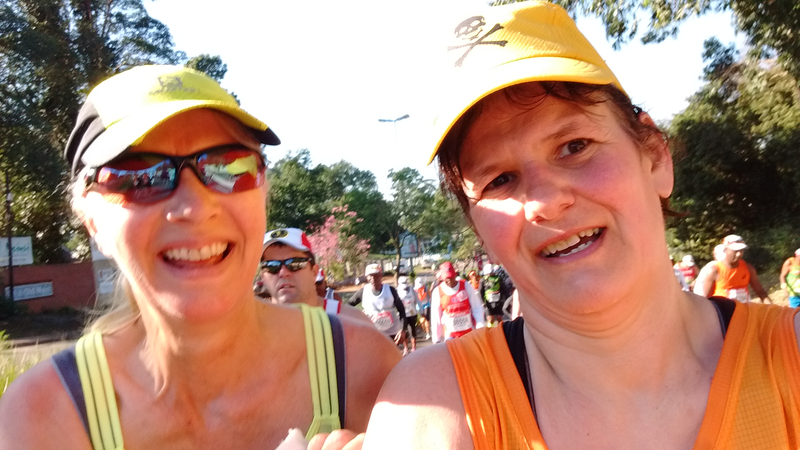 I loved the motivational story at the link below, from Comrades 2017. I'm trying to get started again after a very modest 30k over the past week (not east going either!). I've just entered the Mablethorpe Marathon on 1st October - much work to do if I hope to finish that one (at least it's very flat - ran it in 2015). Have a good run RR. RR - hope you have a good run tomorrow. Had a cracking run yesterday - very well organised and a lovely route through the Chilterns. I was running it with friends - we were all doing it off the back of training for other races earlier in the season so we didn't have high expectations of times, and a had a great day. Then we finished off with dinner in the pub where David Cameron left his daughter behind by mistake . Finally getting back to reasonable distances - 21 humid miles today. Fine except for tripping over a sapling stub (about 4 cm wide and 4 cm high) about 5 miles from home, leading to a sore and slightly swollen left big toe. May scupper my plans to run to work tomorrow. Oh well. Hope everyone else has had a good weekend.